When we use the term “Personal Information,” we mean information that can be used to identify you as an individual person. We collect several categories of Personal Information through our Services, including information you provide, information collected automatically (potentially including location information), and information we obtain from third party sources. We generally use the Personal Information that we collect to operate the various functions of this institution and provide the Tulane services that may be available to you. We rely on separate and overlapping bases to process your Personal Information lawfully. By way of example only, it may be necessary for us to process your Personal Information in certain ways in order to process a transaction you have requested or otherwise in accordance with a contract between us, or in certain cases we may process your Personal Information as necessary to conduct Tulane’s legitimate interests, when those legitimate interests are not overridden by your rights and interests. For more information, please see the “Cookies” portion of this policy, below. We may use your IP address to identify the general geographic area from which you are accessing Tulane.edu. The main way Tulane collects and maintains personal information about alumni is when you provide it to us, for example, when you update your alumni profile, connect with us on social media, or register to attend alumni events. We may also collect personal information from publicly available sources or third party sources that support Tulane. Tulane collects and maintains personal information about donors to process your donation and respond to your comments and questions. We may also use your information to keep you informed about Tulane events and initiatives that we think may interest you. Tulane collects your personal information when you apply for employment. 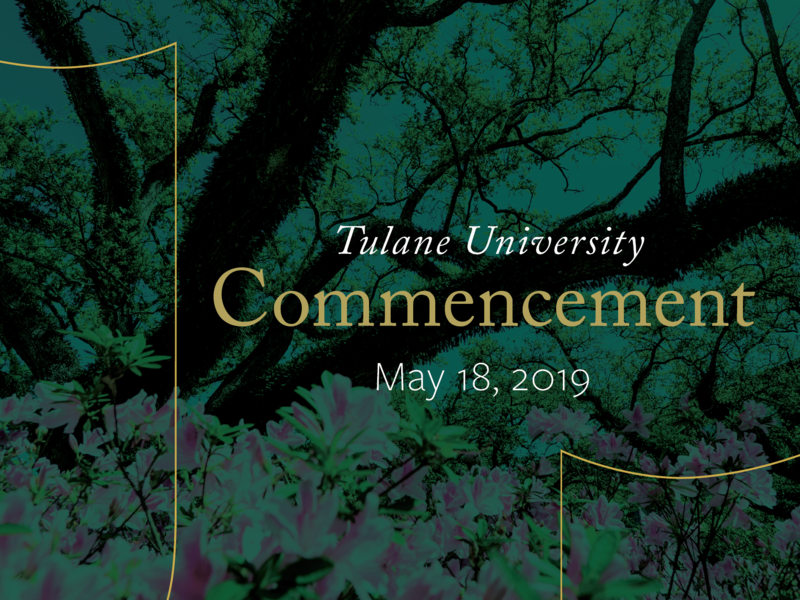 Further personal information collection occurs at the commencement and throughout your employment at Tulane. Tulane collects your personal information when you apply for online education offerings. Further personal information collection occurs at the commencement of and throughout your online education interactions. Tulane researchers and affiliates may collect, use, and share your personal information as part of a research study in which you have agreed to participate as a research subject or researcher, or in which your existing personal data are used. Often, when personal data are collected for research purposes, you will be provided a consent and/or authorization form that explains the types of data collected and the purposes for which such data are processed and shared. In such a case, the description of the collection and use of your personal information provided in the consent and/or authorization form will replace the information provided here. Examples of data that may be collected for research purposes are listed below. These data categories are provided as examples only; not every research study will collect each of these categories of data. If you have questions about the processing of your data in connection with a research study, you should contact the Tulane personnel who are conducting the research or the contact persons named in any informed consent form you signed when you joined the study. Tulane also maintains separate policies that govern the conduct of research by Tulane faculty and students. You can learn more about Tulane’s research policies at http://www2.tulane.edu/asvpr/ora/policies.cfm. Specific research departments may also have their own policies. To provide for issuance of government immigration documents for visas for international students, scholars, staff, faculty, and dependents, as well as comply with federal reporting requirements. Tulane University Medical Group (“TUMG”) and its affiliates may collect certain information to facilitate the process of your becoming a patient for treatment by TUMG, such as your contact information, medical records, and insurance. When you first present for care by TUMG, you will generally be provided a separate notice of privacy practices that explains in more detail the types of data collected and the purposes for which such data are processed and shared by TUMG. That notice will be controlling regarding the data collected during the course of your treatment by TUMG. If you have additional questions about the processing of your data in connection with your becoming a patient with TUMG, you should contact the office from whom you are obtaining treatment. Tulane collects and maintains personal information about those that purchase items, including but not limited to the use of Tulane campus space and other property, to facilitate purchases and respond to your comments and questions. We may obtain certain Personal Information about you from third party sources, which we may use to serve our legitimate interests, comply with legal obligations, perform a contract, or in some cases, in accordance with your consent. We use partners and service providers, such as payment processors and analytics providers, to perform services on our behalf. Some of these partners have access to Personal Information about you that we may not otherwise have (for example, if you sign up directly with that provider) and may share some or all this information with us. We use this information to administer the Services and conduct marketing and advertising campaigns, as well as to process transactions that you request. We may receive additional Personal Information from third-party sources, such as credit reference agencies and public databases, which we may append to existing personal information, such as email address verification. We may use this supplemental information to process transactions that you request and to prevent fraud, deliver relevant offers and advertising to you, and to improve our operations, Services, and our advertising and marketing campaigns. Sending you text messages or push notifications when you sign up for one of our messaging programs. These messages may be sent by automated means. You may opt out of a text message program by following the instructions in the Managing Communication Preferences section. enhancing protection against fraud, spam, harassment, intellectual property infringement, crime, and security risks. With your knowledge and consent, the Services may gather and transfer your Personal Information, including location information, from and to other applications, functions and tools within your mobile device. We may also use services provided by third parties (such as social media platforms) to serve targeted ads to you on third party platforms. We may do this by providing a hashed version of your Personal Information to the third party for matching purposes. For more information, including on how to control your privacy settings and your ad choices, please see the “Cookies” portion of this policy, below. We may disclose your Personal Information to legal or government regulatory authorities as required by applicable law. We may also disclose your Personal Information to third parties as required by applicable law in connection with claims, disputes, or litigation; when otherwise required by applicable law; if we determine its disclosure is necessary to protect the health and safety of you or us; to enforce our legal rights; or to enforce contractual commitments that you have made. Tulane may transfer your Personal Information within our family of schools, centers, and other Tulane units and affiliates and/or to the third parties discussed above. Your Personal Information may be transferred to, stored, and processed in a country other than the one in which it was collected. If your Personal Information was collected or stored in the European Economic Area (“EEA”), we may transfer your Personal Information outside the EEA and when we do so, we rely on appropriate or suitable safeguards recognized under data protection laws. We may transfer your Personal Information to Andorra, Argentina, Canada (commercial organizations), Faroe Islands, Guernsey, Israel, Isle of Man, Jersey, New Zealand, Switzerland, Uruguay and the United States (limited to those transfers governed by the EU-U.S. Privacy Shield framework), and any other countries that the European Commission has approved as providing adequate protection to personal information. The European Commission has adopted standard data protection clauses, which provide safeguards for personal information transferred outside of the EEA. We may use Standard Contractual Clauses when transferring Personal Information from a country in the EEA to a country outside the EEA. You can request a copy of our Standard Contractual Clauses by contacting us as set forth in the Contact Us section below. In respect of certain cross-border personal data transfers, we will obtain your consent to transfer your Personal Information outside the EEA after first informing you about the possible risks of such a transfer. We will transfer your Personal Information outside the EEA if the transfer is necessary to the performance of a contract between you and Tulane, or if the transfer is necessary to the performance of a contract between Tulane and a third party, and the contract was entered into in your interest. In addition, we may transfer your Personal Information outside the EEA if the transfer is necessary to establish, exercise, or defend legal claims, as well as if the transfer is necessary to protect your vital interests. We do not intend to collect and we will not knowingly collect or solicit Personal Information online from children under the age of 13 or as defined by local legal requirements, except on Services specifically directed to children. For those Services, we follow applicable data protection laws with respect to children’s privacy, as set forth in the additional disclosures posted within the relevant Service. We process all personal information in line with your rights, in each case to the extent required by and in accordance with applicable law (including in accordance with any applicable time limits and fee requirements). to obtain a copy of your Personal Information in an easily accessible format. To submit a request, please contact us as set forth in the Contact Us section below. We will respond to your request within a reasonable time. These cookies are used to make advertising messages more relevant to you and your interests. They also perform functions like preventing the same ad from continuously reappearing, ensuring that ads are properly displayed, and in some cases selecting advertisements that are based on your interests. For more information, see the Targeted online advertising section below. We work with a variety of advertisers, advertising networks, advertising servers, and analytics companies (“Ad Partners”) that use technologies to collect data about your use of our Services (such as pages visited, ads viewed or clicked on) as well as your IP address, device identifier, or mobile advertising identifier, in order to deliver relevant advertising. In addition, our Ad Partners use the information collected by the technologies on our Services for purposes such as (a) in conjunction with advertising that appears on our website or other websites, (b) to report website traffic, statistics, advertisement data and other interaction with ads and the websites on which they are served, and (c) to measure the effectiveness of web-based and email ads. Please note that this Policy does not cover the practices of our Ad Partners. Disabling Most Targeted Online Advertising: As discussed above, advertising networks offer you a way to opt out of targeted online advertising. If you would like to find out more information, please visit http://www.youronlinechoices.com. You can opt out of having your mobile advertising identifiers used for certain types of targeted online advertising, including those performed by us, by accessing the settings in your mobile device and following the instructions. Please note that at all times you are responsible for updating your Personal Information to provide us with your most current email address. In the event that the last email address that you have provided us is not valid, or for any reason is not capable of delivering to you the notice described above, our dispatch of the email containing such notice will nonetheless constitute effective notice of the changes described in the notice. If you do not wish to permit changes in our use of your Personal Information, you must so notify us prior to the effective date of the changes and discontinue using the Services. Continued use of our Services, following notice of such changes shall indicate your acknowledgement of such changes and agreement to be bound by the terms and conditions of such changes. If you have opted in to our marketing (or when permitted by law, if you have provided us with your contact information), we may send you email messages, direct mail, push notifications, or other communications regarding educational offerings or other products and services, depending on the method of communication selected. You may ask us not to do so when you access our websites or mobile applications, or change your preferences by updating any accounts you have with us. At any time, you may elect to discontinue receiving messages about these offerings, products, or services from us by submitting an opt-out request to the contact information below or by following the unsubscribe instructions in the form of the communication you received, as described below. To opt out of receiving printed materials about our offerings, products, or services at your postal address, such as magazines, advertisements, flyers or postcards, please write to us at the address set forth in the Contact Us section below. Please be sure to include your name, mailing address, and description of the marketing material received exactly as they appear on the printed marketing materials you received. To opt out of receiving communications about our offerings, products, or services via email, please send an unsubscribe request to the email address set forth in the Contact Us section below or click on the unsubscribe link at the bottom of the email that was sent to you and follow the directions on the resulting web page. Please note that you may continue to receive certain transactional or account-related electronic messages from us. If you have consented to receive text messages, you may opt out of receiving them by using the method provided in the text message or by contacting us as set forth in the Contact Us section below. To opt out of receiving push notifications, please set your preferences within your device setting menu.